Our flat bar picnic table is a firm favourite amongst councils within their parks and play areas. 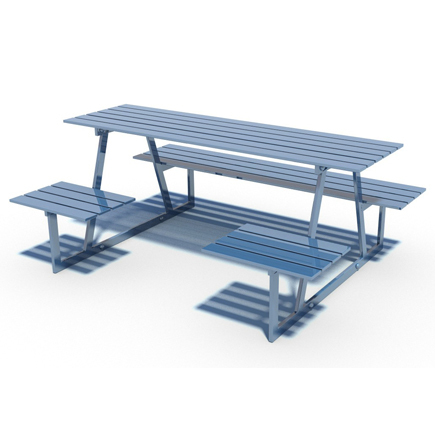 Designed using British steel, the picnic table is built to last. Hot-dipped galvanised to prevent rust and powder-coated to ensure the longevity of the paintwork. The table is available in any RAL colour. The table is delivered flat packed but installation is available if needed. The table is also available with wheelchair access.